High-gloss Built-in Buffet - CK Valenti Designs, Inc. 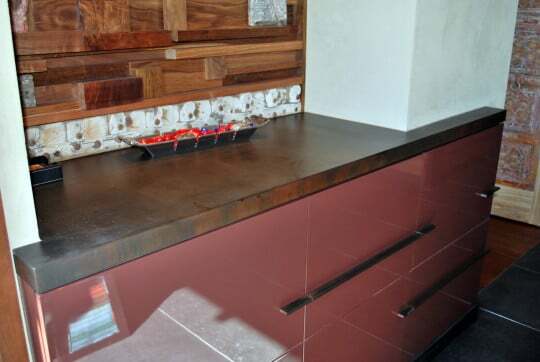 This custom built-in buffet features an ultra high-gloss finish (known as a “wet look”), a steel countertop, and custom steel drawer pulls. The buffet was built into a wall of the dining room, adjacent to the kitchen. 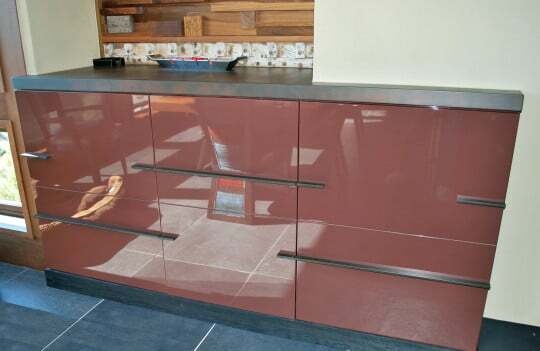 The high-gloss finish was achieved with a multi-part primer, paint, and buffing system. 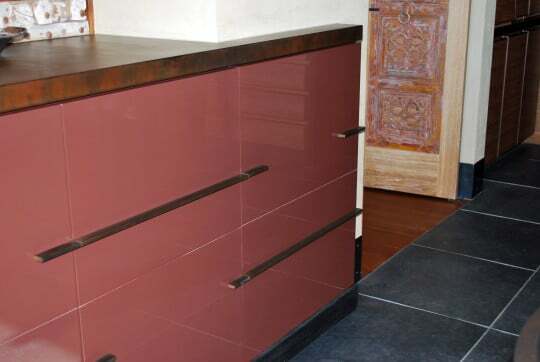 The steel countertop and coordinating drawer pulls were patinaed with a steel blackening chemical and finished with an industrial wax.